The National Highway Traffic Safety Administration announced on Monday that it will investigate 561,000 model-year 2004 through 2009 Toyota Prius hybrids over a steering shaft issue. The federal probe stems from a petition claiming the vehicle’s steering column linkage was improperly assembled. According to the petition, there was no known service that occurred on the vehicle to account for the problem. The NHTSA will have to complete its analysis before it can become a recall. 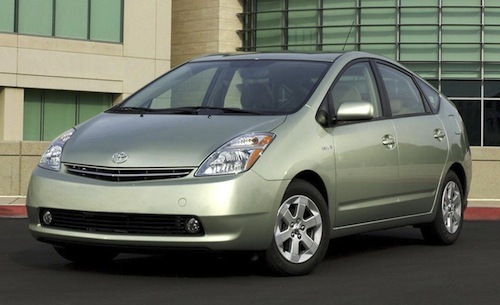 Toyota has recalled the Prius multiple times for steering problems. In 2006, the automaker recalled 170,000 2004 through 2006 Toyota Prius hybrids because the intermediate shaft could crack and result in loss of steering control. In 2011, Toyota recalled over 100,000 model-year 2001 through 2003 Prius vehicles to address a faulty Electronic Power Steering (EPS) pinion shaft nut. Over time, the loosening of pinion shaft nuts may make more difficult for the driver to turn the vehicle to the left. The recall covered 52,000 Prius models in the United States and another 54,000 overseas. Most recently, Toyota recalled 669,000 model-year 2004 through 2009 Prius vehicles to replace the steering shaft extension assembly. According to the automaker, certain extension shafts were manufactured with an insufficient hardness level, which may cause the part to deform if the steering wheel is frequently turned to the full-lock position while traveling at a slow speed. Despite numerous safety recalls, the Toyota Prius remains one of the most popular cars available today. In fact, the Prius was the world’s third best selling vehicle in 2012. As of October 2012, the Prius lineup has reached global cumulative sales of 3.3 million units, which accounts for 71.5 percent of Toyota’s total hybrid sales since 1997. The Toyota Prius investigation comes the same day as the NHTSA launched a probe into 724,000 Ford sedans and SUVs. The vehicles in question may suffer from a sudden loss of engine power or stalling. According to NHTSA documents, affected vehicles may abruptly go into “limp mode,” which limits a vehicle’s speed to 20 mph 900 rpm. The investigation covers the 2009 through 2011 Ford Escape and Fusion, and Mercury Mariner and Milan. Federal documents also indicate that Ford has received 27,500 warranty claims and 1,400 complaints regarding the problem. There were also three reports of crashes and one injury. Like the Toyota investigation, the NHTSA must complete its Ford analysis before any recall is issued. Stay tuned for more details regarding both investigations.